This is a luxurious casino which is located in South Africa’s Mossel Bay, Western Cape. This casino is a lovely place and high quality of standards are kept for every service rendered. Allowing visitors to utilize each penny that they would have paid. This will make you want to keep coming back to the resort. 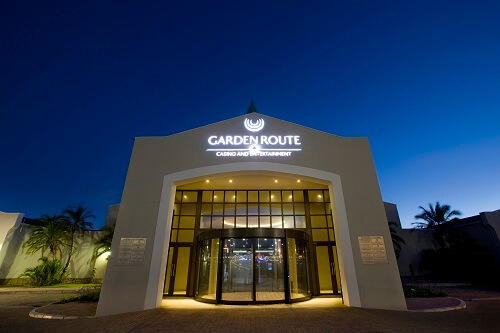 Garden Route Casino has a huge variety of things to do. You’ll find excellent real gaming entertainment and awesome outdoor facilities. The food comprises of superior local and international dining options. Conference facilities at the casino are very good and there is plenty of activities for families. There are more than 400 slot machines at the casino. Basically, all types of slots can be played in the casino. Also, there is a selection of video slots and video poker to choose from. Players can try out the unique R8 roulette slot machine which has eight player stations. There are also 16 casino table games on offer. These include Texas Hold ‘em, Casino Hold ‘em, Casino Reef, blackjack, and roulette. Gamblers have unrestricted access to the casino which is open any time of the day throughout the year. An additional 42 slots are available in the VIP area. The Salon Prive was made only for the VIP players. Other games accessible to the VIPs are American roulette, Raise ’em poker, and three blackjack tables. The Prive provides a very relaxing view of the surrounding area. The well-designed lounge is very classy with some of the best hostesses in the country. There are several dining areas and bars at Garden Route Casino. The service at these establishments rival the very top hotels. They meet the standards set by best hotels. Bravo lounge is the best offering light meals to some delicious cuisine. Much like the casino, it’s open any day of the week. There is a buffet restaurant which has five-star food. It is situated near Gold fan club together with the Pinnacle Point golf course. There are a sports bar, children’s entertainment and games arcade just for the visitors to have fun. This is one place you should get to.